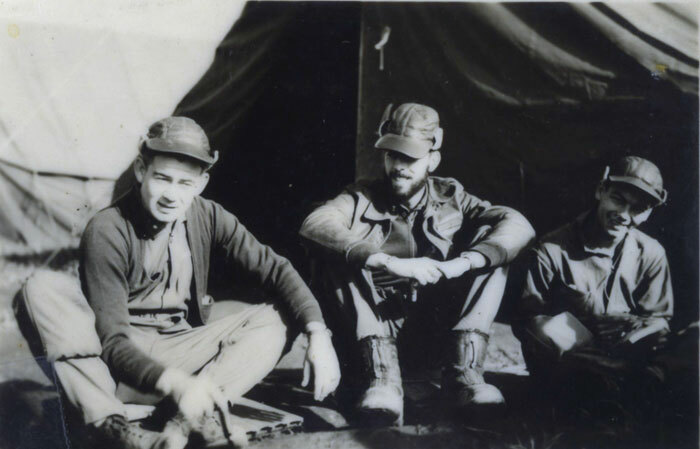 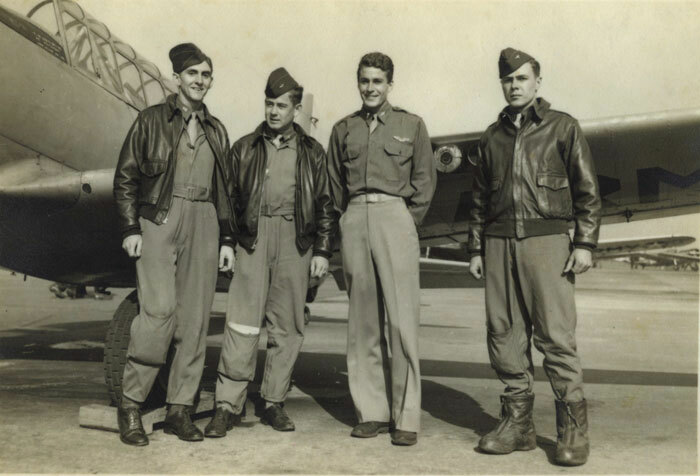 Experiences lived during the global conflict of WWII are as different as every man who served. 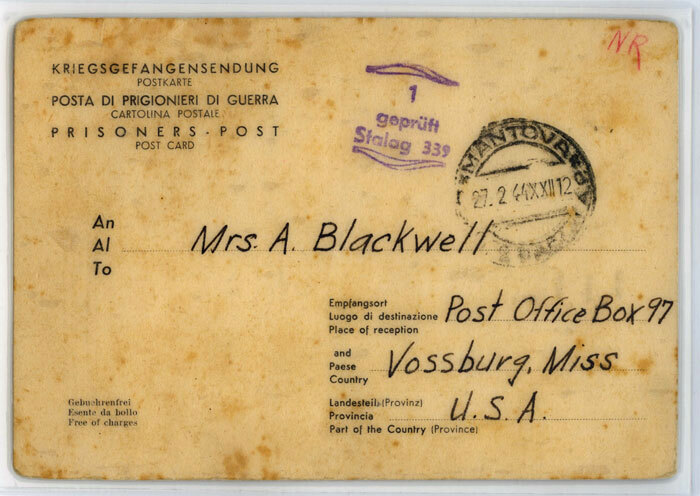 Conditions for POWs under the Germans varied greatly, and not all American POWs were afforded the protection of the Geneva Conventions. 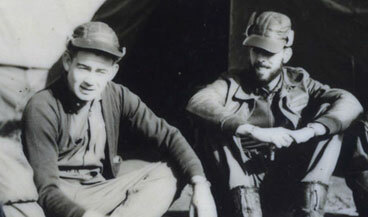 At Stalag IXB in January 1945, 350 American POWs were selected to be sent to Berga slave labor camp upon suspicion of being Jewish. 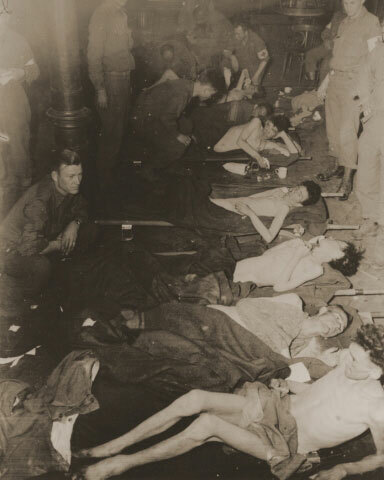 There they endured inhumane treatment as laborers in underground tunnels along with prisoners from the nearby Buchenwald concentration camp, all while suffering from starvation and beatings. 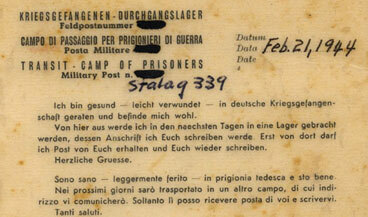 Eighty-six of these men died before liberation. 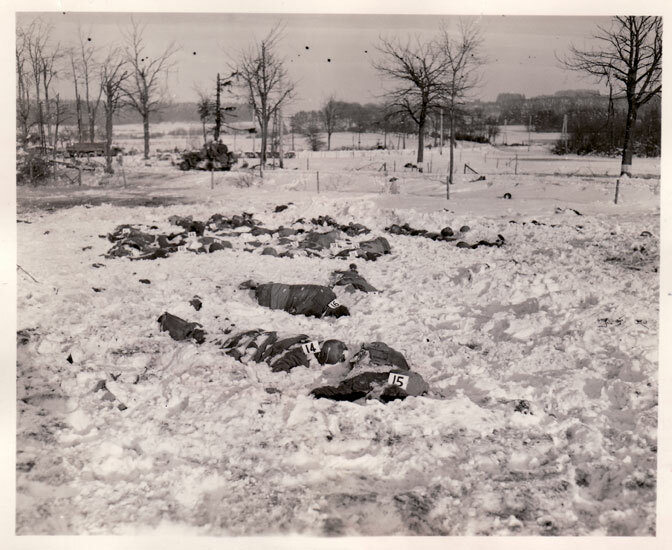 On 17 December 1944 outside of Malmedy, Belgium, 84 American POWs were murdered by their German captors, part of the 1st SS Panzer Division. 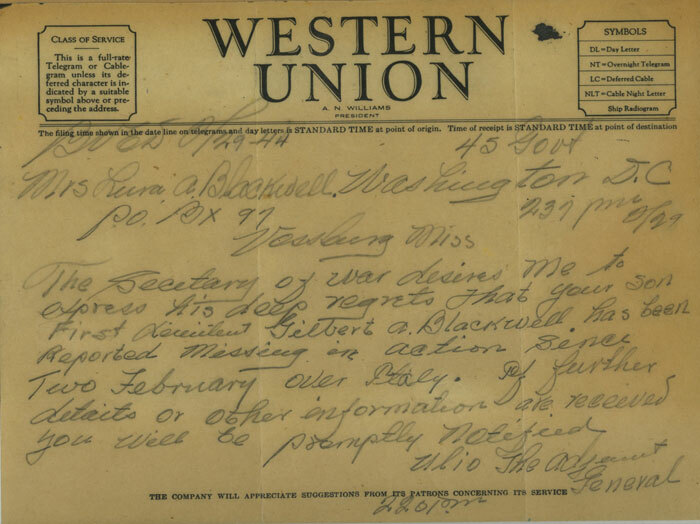 The war crime now known as the “Malmedy Massacre” was part of a series of such killings in which 362 American POWs (and over 100 Belgian civilians) perished. 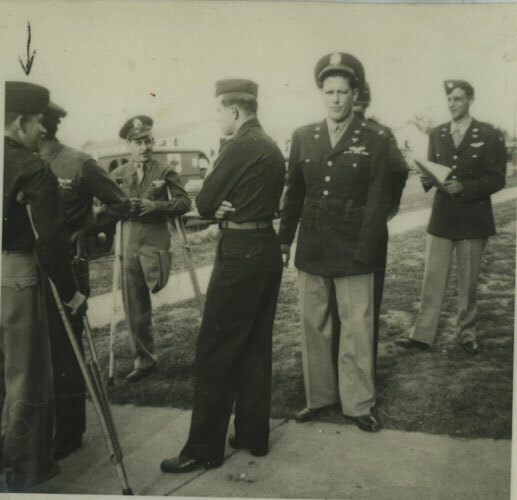 American medics treat 63 American POWs who survived a death march from the Berga concentration camp and were liberated by soldiers of the 357th Infantry Regiment. 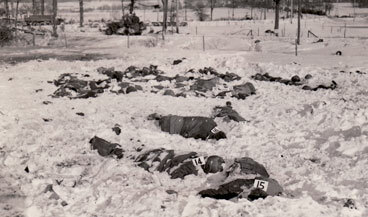 Massacre site at Malmedy under investigation by American forces in January 1945. 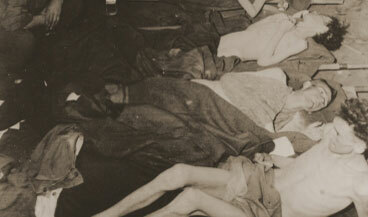 Under the rules of the Geneva Conventions, gravely ill prisoners of war were supposed to have the right to be evaluated by a physician from the captor nation along with a physician from the International Red Cross to deem if their wounds were severe enough to call for repatriation. 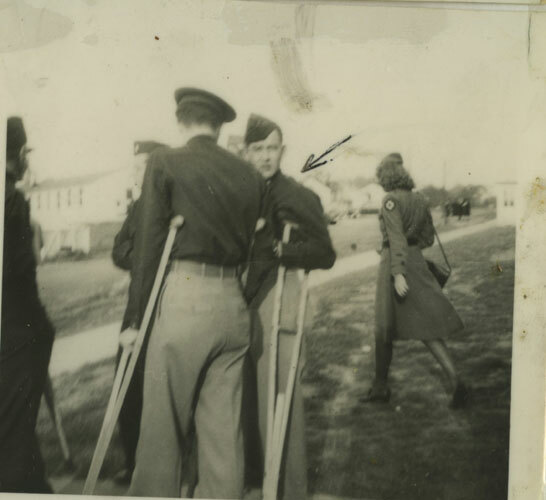 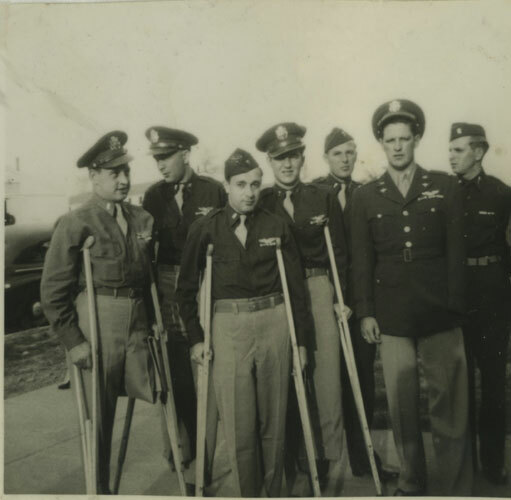 Thousands of gravely ill American POWs, mainly amputees, were repatriated in a prisoner exchange with Germany. 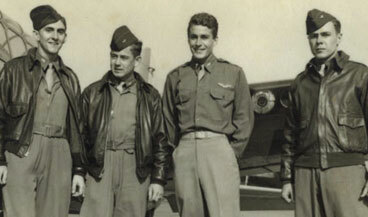 Gilbert Blackwell, an A-36 pilot with the 86th Fighter-Bomber Group in the Mediterranean, was flying a mission on 2 February 1944 to disrupt an enemy installation when he was shot down near Cassino. 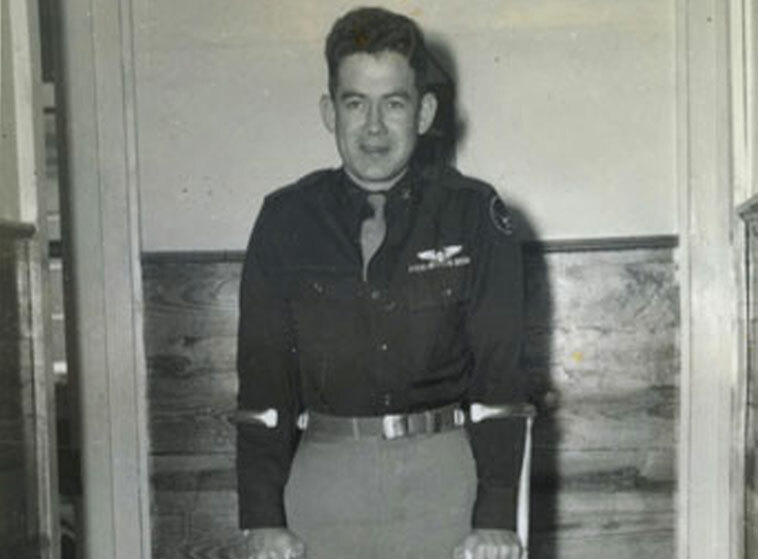 Blackwell had a brain injury, lost his sight and fractured his ankle in the crash. 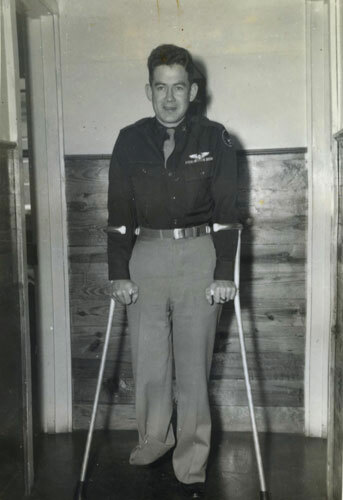 Strangely, Blackwell received brain surgery and regained his sight, but minimal attention was paid to his ankle, which required an eventual amputation below the knee. 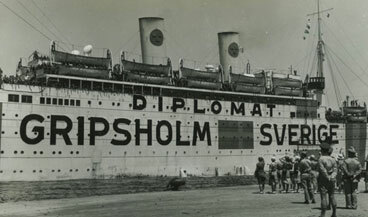 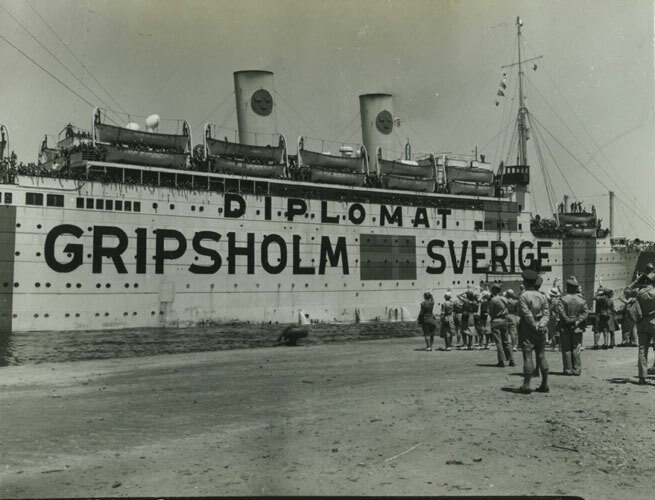 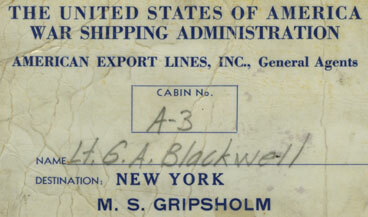 Blackwell was selected for repatriation and began the journey home in September 1944 aboard the Swedish liner, MS Gripsholm. 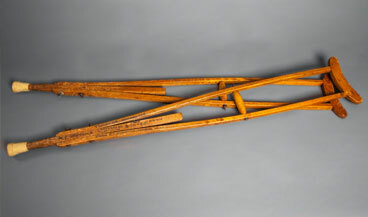 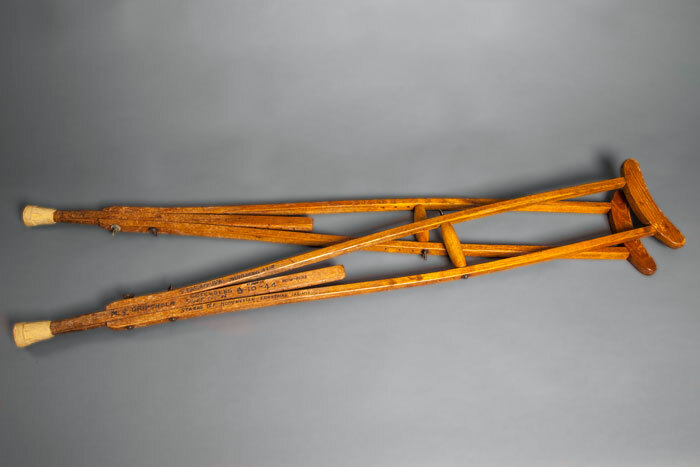 Crutches used by Blackwell on his voyage home. 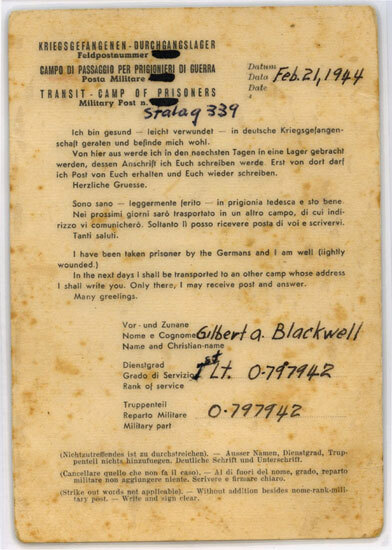 Blackwell at Stalag 339, reverse. 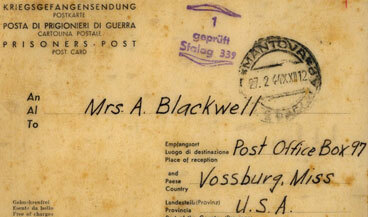 Blackwell en route to the US. 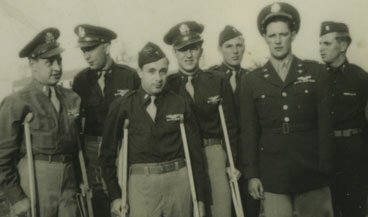 Blackwell (second from left) and fellow airmen. 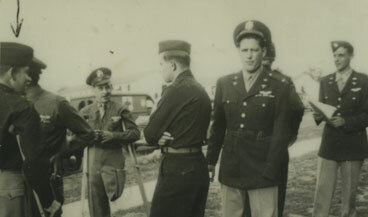 Blackwell (at left) and fellow airmen. 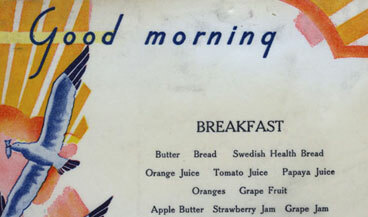 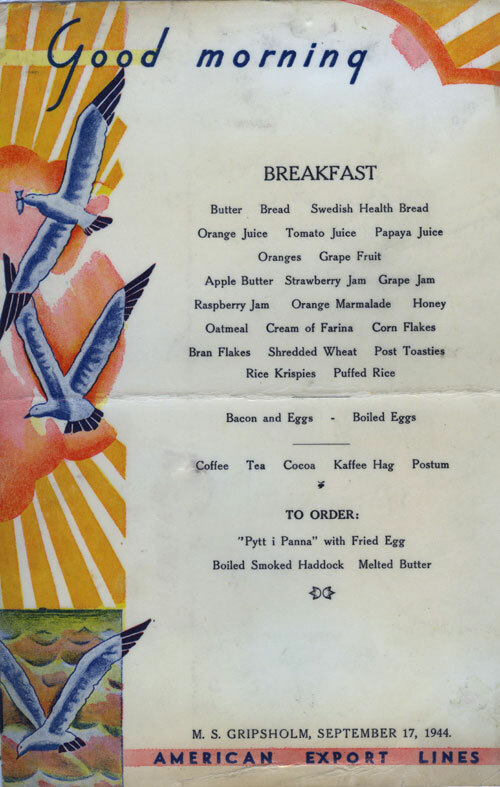 Breakfast menu aboard the Gripsholm. 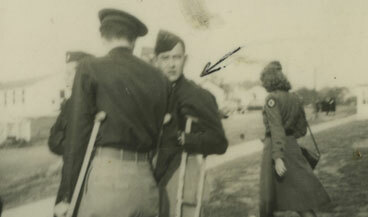 Blackwell (as noted by family) and the other repatriated servicemen. 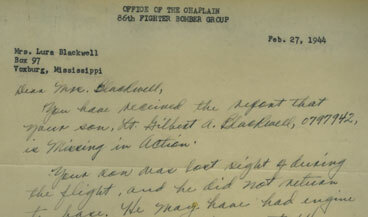 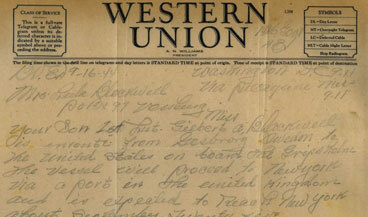 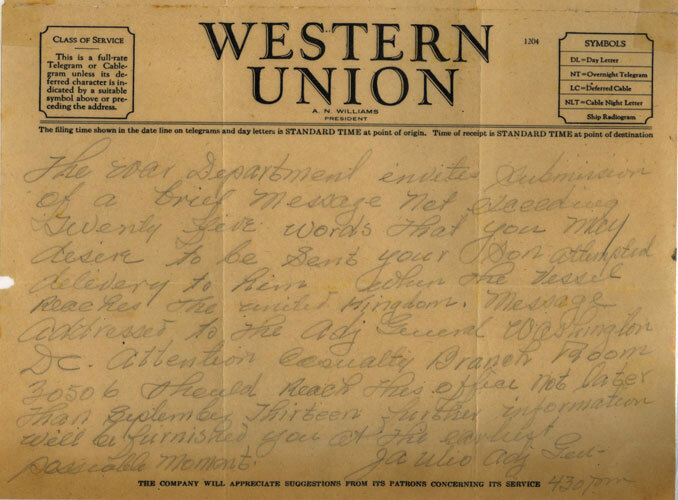 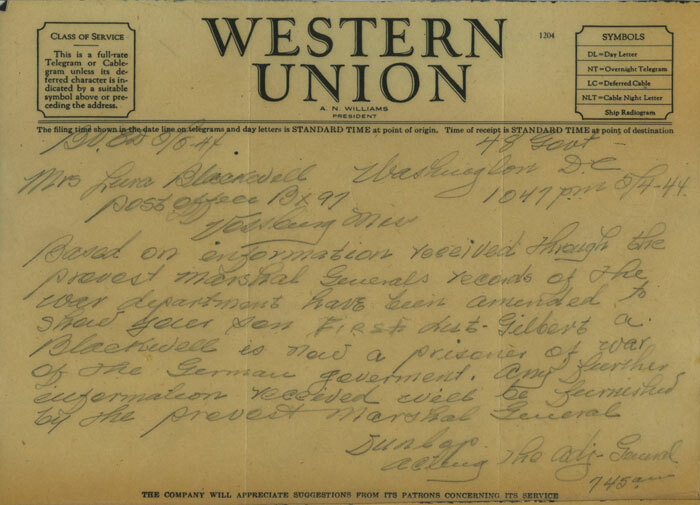 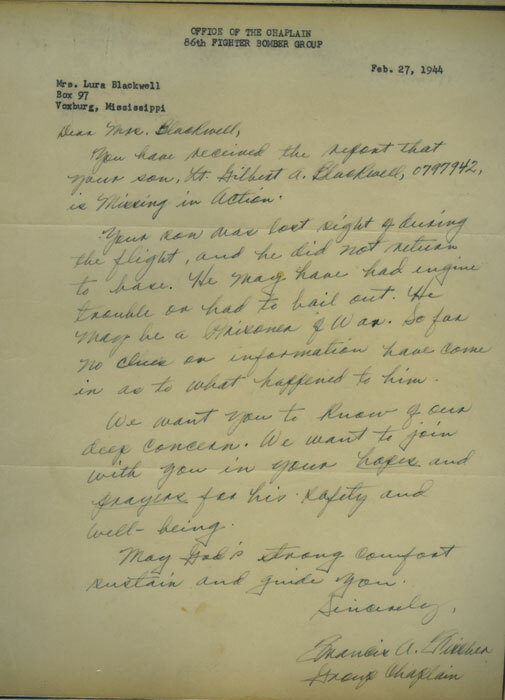 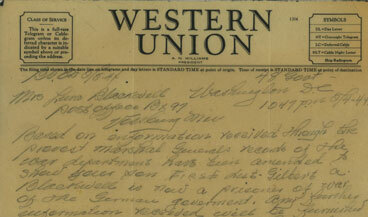 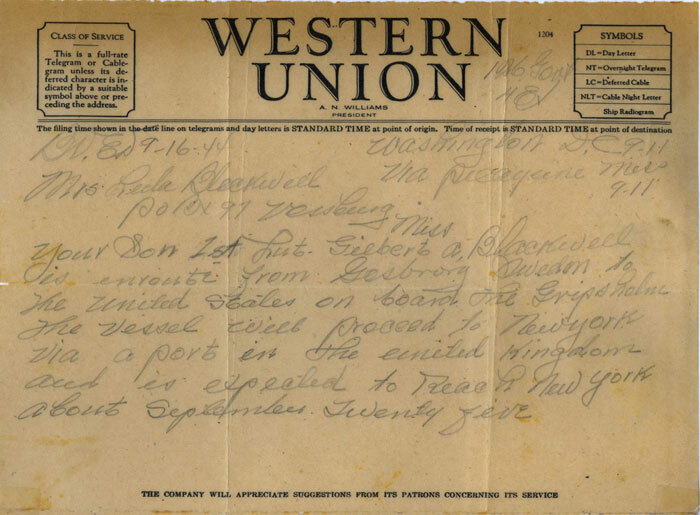 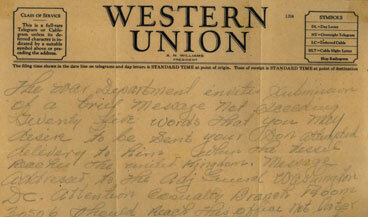 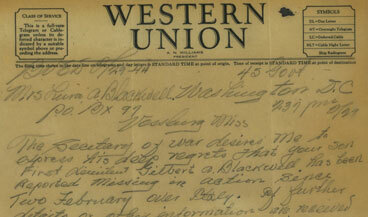 Letter from the chaplain, notifying Blackwell’s mother that he was missing in action.